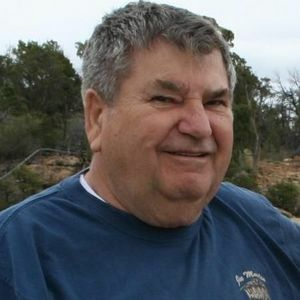 Donald L. Reffalt passed away February 18, 2012 while on a RV trip in Yuma AZ. He was born 02-25-1937 in Lingle, WY, the sixth of seven children of Edward and Thelma Reffalt. He graduated from Sunrise High School 1955. He married Anne Dunn October 1958 and they enjoyed 34 years before she passed in 1992. They had 4 children. Don served 4 years in the Marine Corp. and 22 yrs in the Air Force. He was a Viet Nam veteran. After retiring from the military he received his teaching degree from EWU 1984. Moved to the Tri Cities and became employed as Vehicle Maintenance Supervisor for the City of Richland. In 1996 he moved to Port Orchard and worked for Kitsap County as Manager, Equipment Service Division. He married Noreen Blanchard of Kennewick in 1998. He retired from Kitsap County 2002 and they moved back to the Tri Cities in 2005 to be near their families. Don loved woodworking, photography and traveling. He was a member of The Desert Drifters RV Club. Survived by his wife Noreen, Kennewick, Brother Lavern Reffalt of Pinehurst, ID Sisters Beulah Meredith of Coeur d Alene ID and Dora (Cal) Titchner of Cheyenne WY Children: Mike (Brenda) Reffalt of Tacoma, Dana Reffalt of Seatac, Patrick (Melinda) Reffalt of Benton City, Sean (Kristin) Reffalt of Pasco, Stephanie Carpenter of Arlington, Serena (Jason) Robar of Maple Valley, and numerous grandchildren and great grandchildren. In lieu of flowers, please make donations to The Chaplaincy Hospice Care for the Tri Cities. I WILL MISS YOU DEEPLY MY DEAR FRIEND. YOU HAVE TO BE THE KINDEST MOST GENTLE MAN I HAVE EVER MET. REST IN PEACE MY FRIEND. LOVE AND GOD BLESS. Don was a great guy. We will miss him. Noreen, your in our thoughts and prayers. We're a new little RV group and you and Don are charter members. We've had some great times this past year. Don will be remembered for his sense of humor and great smile - what a guy. Noreen our thoughts and prayers are with you. If we can help in any way let us know. Carol remembers the twinkle in Don's eyes and his wonderful sense of humor. We may not have known him well, but he will be greatly missed. My condolences to the family. Don, you will always be remembered by me daily for giving me the chance to work for you and KCPW. You took me in as a temp and gave me a shot and it is you I thank for my career here. Every day I enter my office you will be thought of. Thanks again Don, may God bless you and your family. Noreen, please let us know if there is anything that we can do to help, our thoughts and prayers are with you and your family. Noreen, my thoughts and prayers are with you. In the days to come if there is anything I can do please call me. I understand what you are going through. 967-3875 Tommy and Danielle, my prayers are with you both. Tommy your grandpa was such a good and fun man. Keep his memories with you always. Your family is in my prays. I am sorry for your loss Pat and Reffalt family.